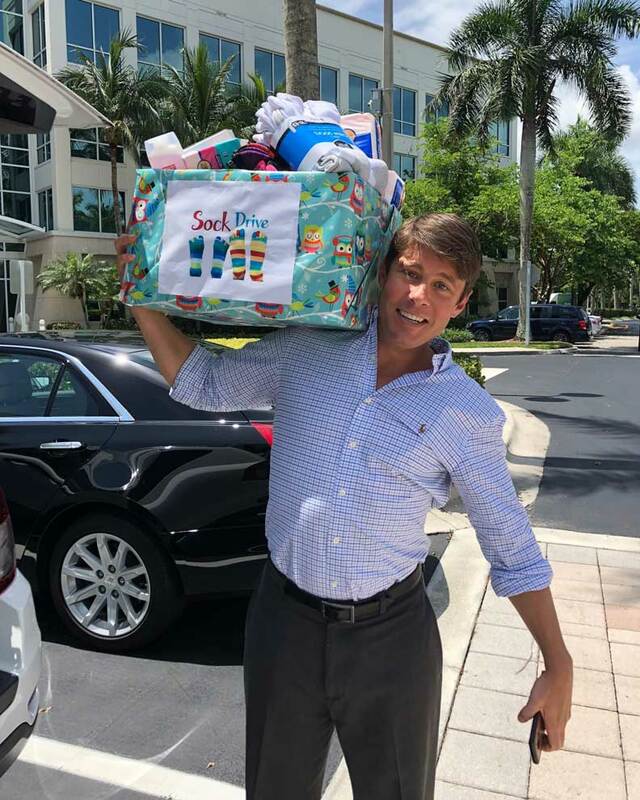 Quintin Kinney’s team at Ultimate Software in Weston, Florida recently held a Sock Drive for Showering Love. They collected soap, shampoo, socks and other toiletries for Showering Love’s guests. Above all, Ultimate Software’s Volunteer Committee is always looking for ways to support their community. Showering Love was honored to receive Ultimate Software’s support. and Showering Love. We look forward to continuing to work with them as we address needs and gaps in our community. Showering Love works proudly with community businesses and organizations to create possibilities in our community. Due to partnering, together we can go beyond providing showers. We can expand to provide other needed services and resources, as we did with Ultimate Software. Supporting and guiding our guests in attaining self-sufficiency means focusing on various needs at once. For example, many of our guests have shared they need support not only finding jobs but also getting work clothes and work shoes. Through collaborating with partners, these types of needs are more likely to be realized and we are better positioned to provide needed opportunities. As a result, it becomes possible to make a real difference in our community. Is your business looking to positively impact the community even more? Connect with Showering Love to create partnerships and projects. We constantly work to fulfill the needs of our guests. As a result, support can come in many forms and includes providing services and resources, financial support and volunteer opportunities. 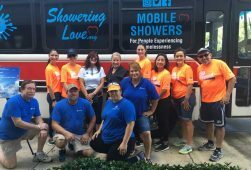 Contact us at contact@showeringlove.org or (954) 529-6098.